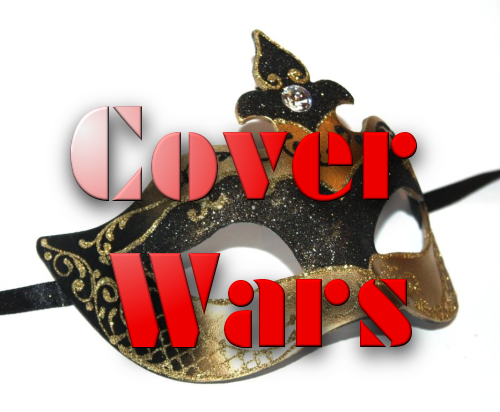 Purchase a slot in the next available Cover Wars and Scavenger Hunt campaign. For details about how this campaign works, see this post. Much of the form is fairly self-explanatory: author name, email address, Twitter handle, and Facebook Fanpage (not personal profile). However, there are a few items that you might need a little assistance with. In the past I asked for a link to your book on Amazon. Though there is nothing wrong with this method, I've found an even quicker method that doesn't require me to visit Amazon, speeding up my processing time tremendously. All I need is the ASIN of your book. You can find it within the URL when you go to your book's page on Amazon. I do not want the entire address. If you send me the entire address, I will have to hunt for your book, adding to my processing time. I will build my link from your ASIN only. It'll look something like the following. Do you see an ASIN in the following address? An easy way to get the ASIN is simply to double click it when you have your URL displaying in the address bar. Copy it and put it in the form. Easy peasy. In the past I got your book title and synopsis when I visited your Amazon page. Since I am trying to speed up my processing time to give me more time to market the hunt, I want you to provide that info for me. As regards the title, I don't want a series name included in the title. Subtitles are sometimes needed, but oftentimes they aren't necessary either. With this book, for example, the subtitle of "a novel" is not required to be listed on the Scavenger Hunt. Here's another example: with this book, the title would be "Breaking Free," nothing else listed in the title section on Amazon. Here's a great rule of thumb for subtitles and other title material: if in doubt, leave it out. Getting the title wrong will add to my processing time. I do not want you to copy the synopsis from Amazon. Because one of the scavenger hunt questions is from your synopsis, I want you to include just a quick snippet of your synopsis for the scavenger hunt post. Shorter the better. In fact, it isn't even called a synopsis on the form. I call it a hook statement (but it can also be a question). One sentence or even a fragment of a sentence. "John has given up on love until her meets her." A question that might hook a potential reader. "What if a vampire was afraid of the dark?" Remember our job is to encourage people who play the hunt to check out your book. Make your book look interesting in as few words as possible, and people will be more likely to check it out. Oh, and since it's easier for me with this new method, I will add your book's genre to the Giveaway listing. The answer to the first scavenger hunt question should be found in the synopsis of your book on Amazon. The second answer will be found on your website, from the link you provide. I will not check to make sure you give us the right link, so make sure of that yourself. The answers should be fairly easy to find but not so easy that players can guess the answer without searching. With the website question especially, please don't make scavengers read an entire post. Ask something that can be answered by looking at the screen when your post loads or at least with very little scrolling. If they like what they read, they may stick around. Annoy them, and they will never return. And this is an important item. If all you purchase is a $5 Cover Wars slot, you do not need to fill out the additional forms. The ASIN you provide via the Paypal form is all I need. If you purchase the scavenger hunt with or without the giveaway, you do not need to provide the ASIN via the Paypal form. You'll provide that via a separate form. If you have any questions, please don't hesitate to email me. I get a lot of email, so if I don't respond right away, don't fret. Send me a second email if you don't hear from me in a few days. fill out the separate form HERE.